Jag is a simple and yet very addictive free and open source 2D puzzle game of the match 3 genre. The visuals are colorful, sharp and extremely functional and the game offers dozens of different levels. 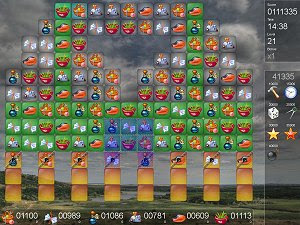 There are frequently items and tools on the game board to spice up the gameplay.